Dubai's Telecommunications Regulatory Authority (TRA) has hosted the world's first ever forum on Data Management. The event was a joint collaboration with the International Telecommunications Union (ITU) who hosted the inaugural forum under the slogan of 'Transforming data into value, expanding the IoT potential with a special focus on Smart Cities'. The forum welcomed participation from a wide group of experts and decision-makers from around the world, as well as many UAE government entities and private sector companies. 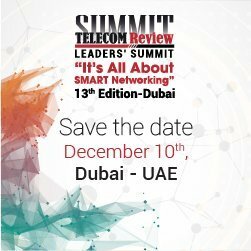 Director General, Telecommunications Regulatory Authority, H.E. Mr. Hamad Obaid Al Mansoori spoke of how the future will consist of billions of connected smart devices - and that will inevitably increase the volume of data ten-fold - hence the importance of the creation of Data Management structures. He said: "The picture drawn by experts for the world in 2020 is a truly extraordinary one. 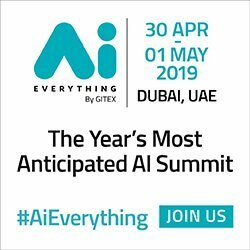 It features a world interconnected by 50 billion smart devices, within a busy atmosphere with data streaming in all directions, and where billions of sensors would be communicating in digital languages to achieve an unprecedented system of services and solutions in the daily course of life." TRA's Director General stated that he believed this forum represented a unique opportunity for experts and decision-makers around the world to discuss and examine the challenges facing cities in its attempt to effectively manage data systems and to establish how exactly regions can benefit from the data being generated. He said: "The UAE is a nation that is leading the way in terms of utilizing the data that is being provided to them - in order to create infrastructure, policies, regulations and guidelines to further utilize that data in the correct fashion. We're also working with representatives in the government to evaluate data, ensure data accuracy and data cleansing. We can then subsequently establish how we can benefit from the data - not only from a government perspective - but also from a customer happiness performance aspect, and also measure future expectations." Chaesub Lee, Director, Telecommunications Standardization Bureau, ITU, spoke of the importance of the establishment of this forum - and said it provided a brilliant opportunity to examine the challenges and opportunities in Data Management. Mr. Lee said: "Today's forum has attracted an excellent array of esteemed speakers in front of an audience packed with industry experts - We will explore data management from a wide variety of perspectives. We will attempt to identify the key challenges and opportunities in data management will be of great assistance to the ITU community. This forum will make recommendations on how ITU standardization could be of most value to data management." The ITU, Director added that data is 'big business' and that the formation of 'Smart Data Management' systems, structures and governance models will improve efficiency in every industry and will create new business enterprises. He added: "Data is big business - and smart data management will increase efficiency in every industry sector. We will also continue to see the emergence of new data driven business models capitalizing on the data generated by billions of connected devices and connected things. Data is the key to smart governments - national and local governments are using data driven insight in an effort to improve efficiency and sustainability of public services." Osman Sultan, CEO of du said declared that he believed that being connected was now a 'basic human right' and stated that he believed governments all over the world have recognized that data will become a key driving engine for prosperity and growth. He said: "Being connected is becoming a 'basic human right' - and what this effectively means is societies, governments, leadership, players and industry players have a collective responsibility to ensure the ecosystem is working, and at some point we will see that a lot of aspects related to infrastructure, related to making the necessary enablement cannot be left to the interest of shareholders or investment, because we will see that the government will have more and more to say in this - because this is becoming a main driving engine for prosperity and growth in nations." Younus Al Nasser, Assistant Director General, Smart Dubai Office and CEO of Dubai Data Establishment reiterated his desire to make Dubai the happiest city in the world - he also declared that 'data is the fuel of our smart city transformation' and added that they will continue to unlock the benefits of data for Dubai in order to 'drive creativity'. Smart City stakeholders are facing challenges in the design phase of data management systems - smart cities need to be dynamic so therefore it is important they develop flexible solutions and governance frameworks to account for the growing data streams. This forum has been established to examine how to manage data streams in Smart Cities, communities of value data governance frameworks to improve trust, security and interoperability within the IoT ecosystem.